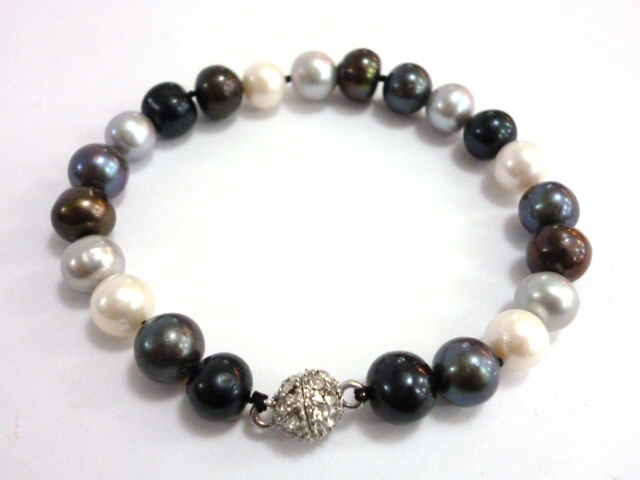 A lovely bracelet of medium - large size (8-9mm) cultured freshwater pearls, available in an exciting mixture of bronze-brown, shades of grey and black with multi-coloured overtones, plus sparkling white. The designer clasp is studded with zirconia crystals and features a powerful magnet for easy, fiddle-free fastening. Please choose a pretty and practical purse or an elegant gift box, from the options above.